Bob Geldof, the man behind Live Aid, also helped organize Sport Aid-The Race Against Time. 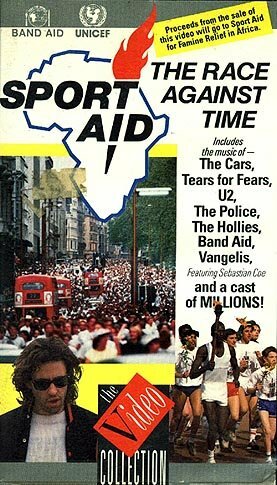 This was a marathon event held simultaneously around the globe, and Vangelis wrote music to be used during the worldwide broadcast of the event. Only a small portion is represented here, and not with the same attention that the other "artists" on the video get. Still, this is worth tracking down to hear new Vangelis music. It has been out-of-print for a long time, and is difficult to track down. Best to try ebay to find it.